Gas Furnaces: Gas furnaces are, by far, the most common furnace system not only here in South Carolina but across the country. Furnaces can provide you with very fine-tuned heating that will keep you warm throughout our winters. 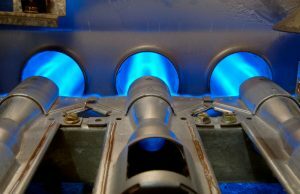 Natural gas is a cheap and efficient way to supply heating for your home. Electric Furnaces: An electric furnace isn’t as common in a cold climate, but it’s something that’s not as common in colder climates. Since our winters here in South Carolina are cold, but not bitterly cold, an electric furnace is a feasible system. Electric furnaces require a lot of energy to run, if a gas line is unavailable, then an electric furnace is a great option. The key to choosing the right furnace is to really understand the needs of your home. The needs of your home are affected by a few key factors including: the size of your home, the position of your home on your plot of land, how many windows are in your home, how much shade your home receives, the type of flooring you have, and just your unique preferences. For example, if you live in a two-story home with a minimal number of windows and a lot of foliage surrounding your home then you’ll probably struggle with the temperature of your home because it’s predisposed to being cold. Our technicians take the understanding of your home a step further with a load calculation. We’ll make sure that we understand exactly how much heating you need in your home and find the perfect system for you. Our heating technicians pride themselves on providing great service for your home, so we make sure to match our service with the right furnace brand. We work with brands like Carrier, Daikin, and WalterFurnace so that you can stay warm in your home all winter long. Our team of licensed, insured, NATE-certified technicians are the best for the job. Make sure you call us sooner than later! If you’re looking for a new furnace for your Columbia Area home, you’re looking in the right place. All our technicians are expertly trained so they can match the unique needs of your home to the perfect furnace system. Contact our team today to schedule an appointment.